Most countries have not reported surveillance data so the prevalence of MAP infected herds or animal is not known. 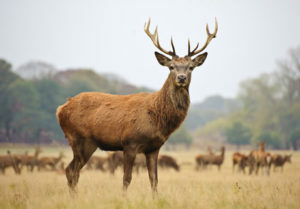 However, New Zealand, with its sizeable red deer industry, surveyed red deer by culturing for MAP from mesenteric lymph nodes of health-looking animals collected at slaughter. The study authors reported a herd-level prevalence of 44% in the North Island and 67% in the South Island. The weighted adjustment resulted in a national herd-level prevalence estimate of 59% (New Zealand Veterinary Journal 61(3):147-52, May, 2013). There was significant difference in infection rates among herds. However, clearly this is a challenge for the red deer industry in New Zealand. But, their situation is unique in may ways and their survey may not reflect what is seen in other countries. In New Zealand, co-grazing of different species is common and an estimated 75% of sheep flocks and 43% of beef cattle herds are MAP-infected (Cristobal Verdugo, PhD thesis). If allowed to become endemic, MAP infections are hard to contain. MAP spreads readily among co-grazing ruminants. Prevention pays – and you must consider all ruminants on the property! Infections rate in cervid herds have not been reported except in New Zealand (NZ), where herd-level prevalence is high. NZ data indicates MAP can become endemic and easily moves between ruminant species grazing the same pastures.